Editor’s Note: Much of this story first appeared in Hemming’s Classic Car, November 2010. It was written by Richard Lentinello, editor in chief, and is excerpted by permission. 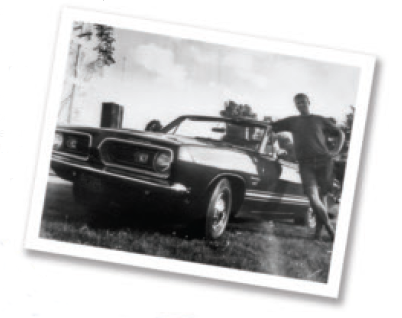 AMSOIL Dealer Phil Garner (top photo) in 1968 when he bought his 1968 Barracuda. It continues to serve as his daily vehicle (bottom picture) with the original engine. He uses AMSOIL 20W-50 Synthetic Premium Protection Motor Oil (ARO). He relies on AMSOIL Severe Gear® Synthetic 75W-140 Gear Lube (SVO) for the four-speed transmission and differential. Garner said the car’s quality construction coupled with consistent maintenance have kept the car running smoothly. The car has not been coddled in its long life. Phil and his wife, Ellen, love to see the country’s beauty and started traveling in the convertible in their 20s. They’ve driven it through 49 states and every Canadian province. Preventing rust has been the greatest challenge to preserving the car’s originality, according to Garner. He uses AMSOIL Heavy Duty Metal Protector (AMH). “It’s like a wax; it never really hardens and is great for undercoating,” he said. It was treated with a rust-proofer in the 1970s, he said. According to the National Oil & Lube News (NOLN) 2010 Fast Lube Operators Survey, installers earned increased sales from add-on products and other services, while the average price for a lube, oil and filter service using full-synthetic motor oil rose compared to 2009. The trends indicate a shift in the installer market favoring businesses that offer customers the services and products provided by the AMSOIL Installer Program, including a broad range of lubricants and lower-priced full-synthetic oil changes. Survey information was gathered on all facets of the installer market from more than 4,200 stores in all 50 states. It divides the information into two categories: companies with less than 30 stores (LT30) and companies with more than 30 stores (MT30). LT30 stores are generally independently owned shops, while MT30 stores are corporately owned chains such as Jiffy Lube. According to the survey, the price of a full-synthetic oil change rose to $62.39 at LT30 stores and $66.14 at MT30 stores, nearly twice as much as conventional oil changes. Although sales of synthetics continue to capture a greater portion of the engine oil aftermarket, the higher price points installers are charging may be hurting business. In fact, while sales of synthetic oil changes rose 2 percent at LT30 stores compared to 2009, they remained flat at MT30 stores. The low price of AMSOIL OE Synthetic Motor Oil allows installers to charge considerably less while still realizing increased profits compared to conventional oil changes. With a suggested oil change price between $44.50 and $49.50, OE provides an appealing option for motorists who are interested in synthetics, but have balked at their higher price. 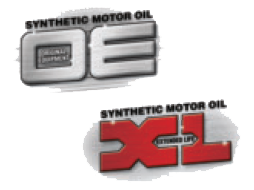 XL Synthetic Motor Oil also compares favorably. With a recommended price between $64.50 and $69.50, an XL oil change is priced comparably to competing synthetics, but carries the added value of extended drain intervals. Customers are more willing to spend the extra money when receiving the savings and convenience of fewer annual oil changes. Installers, meanwhile, can earn more profit selling two XL oil changes to a customer per year than they earn selling five conventional oil changes. 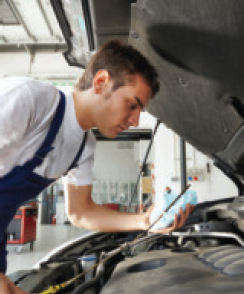 In addition to oil changes, customers today are frequenting installers for transmission, differential, coolant and other services traditionally offered primarily by garages and dealerships. Add-on products accounted for higher sales, helping increase average ticket totals for all installers by about $2 compared to 2009. To diversify services and boost profits, 74 percent of LT30 stores now perform oil changes on recreational vehicles, 28 percent on commercial vehicles and 13 percent on motorcycles. The chart shows what percentage of LT30 stores now offer the listed service or add-on product. The Installer Kit (G250 U.S., G8250 Can.) provides Dealers the materials needed to demonstrate to installers how AMSOIL can increase profits. It includes enough sales brochures, data bulletins, fair handouts and other items to make five sales presentations and establish two accounts. van past the million-mile mark. Dealer Dan McKinty of Lincoln, Nebraska has a satisfied customer who is nearing his goal of acquiring one million miles on his vehicle. 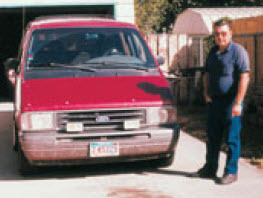 Floyd Erks is a proud user of AMSOIL lubricants in all of his vehicles, but his van’s long history of AMSOIL use and high mileage really sets it apart from the crowd. 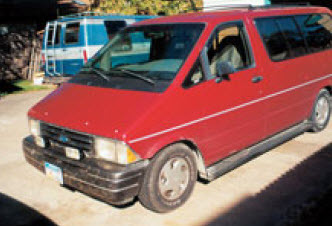 Erks owns a 1993 Ford Aero Star Minivan with a 4.0 liter engine that has never been rebuilt. To date, the van has accumulated 731,000 miles of service, and Erks sees no reason why it won’t reach the million- mile milestone. Erks used AMSOIL 5W-30 motor oil for the first 25,000 miles, then switched over to AMSOIL Series 2000 0W-30 and SDF Oil Filters and changes the oil only once every 35,000 miles. Since he switched his van over to AMSOIL ATF he has also put 300,000 miles on the same transmission. He also regularly uses AMSOIL 75W-90 Gear Lube and Multi-Purpose Grease. Erks says that he drives a minimum of 300 miles a day while working for his courier service. At that rate, he may attain his goal of one million miles in only two or three years. three quarters of a million miles. Jeff Bottila unveils his new AMSOIL-stocked service shop. Bottila believes that being a chamber member is a good idea for small business owners. “Chamber membership has already led to two oil change customers and five commercial accounts,” Bottila said. In its new location, J B Lubricants services over 15 AMSOIL accounts and maintains five equipment fleets. AMSOIL recently wrapped up 19 successful Regional Fall Sales Meetings across North America that generated a lot of excitement throughout the Dealer network. AMSOIL University 2011 will keep the excitement building. Attendees of the Fall Sales Meetings were the first to learn complete details about new developments, including the reformulation of XL Synthetic Motor Oils and the introduction of OE Synthetic Motor Oils. AMSOIL University 2011 provides Dealers another opportunity to receive the latest news directly from corporate staff in addition to the valuable training AU is known for. This year’s event takes place May 15 – 19 at the Duluth Entertainment and Convention Center (DECC), home of the new AMSOIL Arena. AU focuses on providing Dealers training in all aspects of operating and growing their businesses, including technical know-how, customer service and more. All attendees have access to daily forums where corporate staff will present new products, industry trends and more. Plenty of time is scheduled for meals and other social events that allow interaction with AMSOIL employees and fellow Dealers, including the Sunday social welcoming event, the Tuesday-night cookout and the President’s Dinner. AMSOIL has again reserved a block of rooms at the Holiday Inn Waterfront. 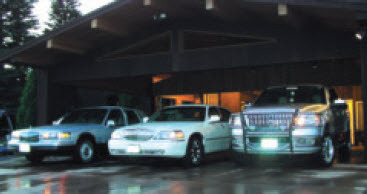 The hotel is located on the skywalk system that places Dealers a convenient, indoor walk away from the DECC. Three different course tracks are available for each level of Dealer expertise. Coursework focus: Administration, Lubrication Fundamentals, Filtration, Dealer Basics, Engine Lubricants, Drivetrain Fluids and Engine Operation. This track is recommended for first-time attendees. It is the foundational information on which to build confidence and a better understanding of how to get the most from your AMSOIL business. Prerequisites: Must have attended an AMSOIL University Core Technology Program, a C&F or CAT school or have sufficient field experience. Coursework focus: Small Business Commercial Applications, Commercial Sales, Personal Administration, Service, Oil Analysis, Two-Cycle Lubricants and Grease. Prerequisites: Must have attained Direct Jobber status. Previous completion of the Core Technology Program and Business Development Program is highly recommended. 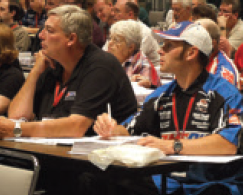 Coursework focus: The Advanced Development Program focuses on opportunities for established Direct Jobbers, including market trends, Dealer coaching, promotional ideas, advanced technical updates and opportunities to share ideas with AMSOIL corporate staff. Product Rebate: All AMSOIL Dealers attending AMSOIL University are eligible for a 10 percent rebate on orders placed the week (May 16 – 20) of AMSOIL U. Dealers interested in attending AU 2011 can receive an early registration discount of $50 until April 1, 2011. For complete information about AMSOIL University and to register, log in to the Dealer Zone, click on the Training Tab and click the AU registration link at the bottom of the page. If you are not yet an Amsoil Dealer, Preferred Customer or associated with an Amsoil Dealer in anyway please fill out the Amsoil Home Dealership Application Form. Since that time, Davis and his family have become true believers in MPHD and continue to find new and creative uses for it in their lives. “We use it on all corrosion points in the standard automotive brake job,” Davis said. Nicewonger owns a Jeep Wrangler TJ. He started to use MPHD because he found that Jeeps, and especially Wranglers, are known for rusting heavily underneath when used for off-road activities. This can lead to serious problems when it causes bolts to lock up. 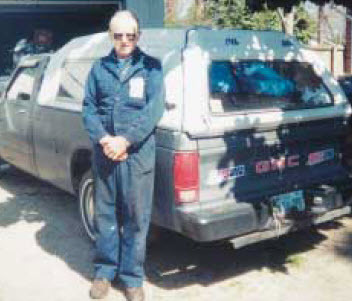 AMSOIL Dealer Louie A. Schwartz owns a 1986 S-15 GMC pickup with a 2.5 liter, 5 speed setup. He drained the factory filled petroleum oil at 40 miles and replaced it with AMSOIL 10W-30 Synthetic Motor Oil. As of February 2001, the engine had over 341,480 miles. Even more amazing, the oil has never been changed, a feat made possible with the use of an AMSOIL By-Pass Filter. Schwartz uses the By-Pass Filter in conjunction with the SDF-23 Full-Flow Oil Filter and reports no major repair work has been performed on the engine, running gear wheel bearings or steering ball joints. His fuel mileage exceeds manufacturer expectations, reaching 24 mpg in the city and up to 32 mpg on the road. Oil analysis test results confirm that Schwartz’s engine is in tip-top condition, a significant selling point for him. In fact, Schwartz has over 150 AMSOIL By-Pass Filters installed on his customers’ vehicles, and he estimates that between he and his clients, they have accumulated over 14 million vehicle miles. With the use of AMSOIL Multi-Purpose Grease, Schwartz has kept the steering, ball joints and front wheel bearings in as immaculate condition as the engine, proving that using the full line of AMSOIL products significantly extends equipment life. Direct Jobbers Ivan and Pam Anthony of Monument, Colorado have the perfect vehicle to compliment their growing AMSOIL business. Their new maintenance truck is completely outfitted to service the lubricant needs of local contractors. At one point, Ivan Anthony knew that a 3306 engine he was servicing had a worn camshaft because a routine oil analysis told him the iron in the oil was up to 1,500 ppm with 250 hours of service on a petroleum-based oil. Anthony switched the equipment’s oil to AMSOIL synthetics, and the iron levels dropped to under 50 ppm. a lot of miles together. Johnny Barkley, an AMSOIL Preferred Customer sponsored by Dealers Don and Faye Crowe of Davidson, North Carolina, owns a 1994 Chevrolet S-10 truck that has surpassed a mileage milestone. 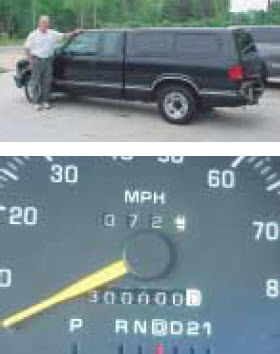 Recently, Barkley’s truck passed the 300,000 mile mark. Barkley uses AMSOIL lubricants in the motor, transmission and rear end. He also uses AMSOIL oil filters. Originally, he used AMSOIL Synthetic 10W-30 in his truck and changed his oil and filter every 25,000 miles. Barkley now uses AMSOIL 0W-30 oil and changes it every 35,000 miles. He has also switched to changing his AMSOIL Oil Filter every six months or 12,500 miles. Barkley’s truck currently has 308,000 miles on the odometer. He often works right out of his truck, and such trips are what he credits with “packing on the miles.” He also often pulls a boat and landscaping trailer. Even after so many miles, Barkley’s truck is still in excellent condition. He has had the engine tuned up only three times since he bought the truck, and plans to keep the truck for some time because he has not had any problems with mechanical parts as long as he has owned it. Alfred Maglangit Sr. of Pearl City, Hawaii recently contacted AMSOIL to say “aloha.” Magalanit wanted to sing the praises of AMSOIL products and to say thanks for the performance benefits he has witnessed in his racecar. Alfred Maglangit, Sr. and his race team. AMSOIL Direct Jobbers Bill and Donna Durand of Superior, Wis. have one of the largest organizations in the AMSOIL Dealer network. They joined AMSOIL in the early years, and their business has grown ever since. They recently reached the 7-Star Regency Platinum Direct Jobber level. They share the top spot in the company with Direct Jobber Dave Mann of Traverse City, Mich., who earned the highest level a month ago. 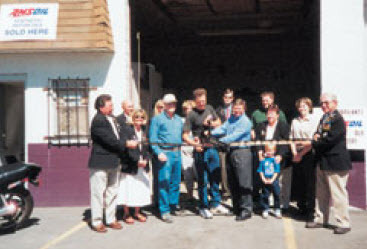 Durand’s military and administrative background helped him build a large sales organization. “We’re thankful for our dynamic and growing sales team that stretches from coast to coast,” Durand said. He told Amatuzio in 1974 they would sponsor 35,000 of the nation’s highest quality Dealers. “Today our nationwide SEL organization is more than 40 times the size AMSOIL INC. was on the day we joined,” Durand said. The Durands built their business the old fashioned way. 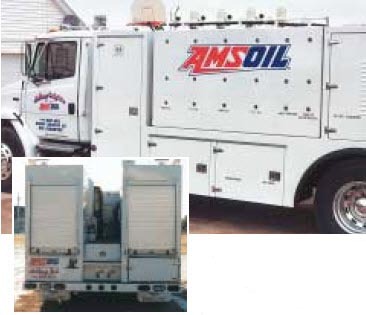 Durand understood the benefits of AMSOIL products for limiting costly downtime and inefficient operation of machinery. He also understood how to recruit new Dealers. In those early days, the Durands stocked AMSOIL products at their home, boxed everything by hand and delivered the products to their customers. Donna did all of the paperwork, together they held meetings in their home and recruited their six children to pitch in. The unlimited income potential of the AMSOIL opportunity is especially important in today’s economic climate, Durand said. Direct Jobbers Bill and Donna Durand of Superior, Wis.
Every advance in the company’s ability to distribute products — such as direct shipping from the warehouse or distribution centers — along with technological improvements increases income potential and makes it easier for Dealers to succeed. “The Preferred Customer Program is really one of the best things that ever came along,” Durand said. Although Durand still delivers products to some of his customers, most orders now ship directly from the AMSOIL warehouse or distribution centers. The advent of the Internet removed every limitation for Dealers. Dave Mann’s rapid growth was mostly accomplished online. Mann has extensive knowledge of AMSOIL products and is a self-described “gear head” of many years. “I focus primarily on the Internet business model as I believe it is an effective method to connect with other performance-minded automotive and powersport enthusiasts from around the country,” Mann said. Mann also works hard to enlarge his organization, but he does it through contacts he makes online as an expert in different forums. Mann said his extensive knowledge of the products and the business model allow him to provide the hands-on support new Dealers and customers require. Long-time AMSOIL Direct Jobbers have a responsibility to pass their knowledge on to the next Dealers and to applaud their new ways of operating, Durand said. Durand encourages new Dealers. “Go where the openings are,” he said. “Right now there’s not a single 6-Star DJ in the whole world. You should plan now to act; fill that key position.